E1 & B2 = Clear Nylon, G3 = Alliance KF ; Basses = wound on nylon. This set offer an excellent well balance & sound projection. 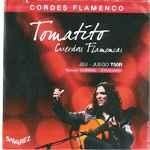 Thanks to different materials used in the trebles & basses composition, Tomatito set is brilliant, rich & nuanced.